Connect HubSpot with Atomic Reach for an end-to-end solution to create and optimize content performance. 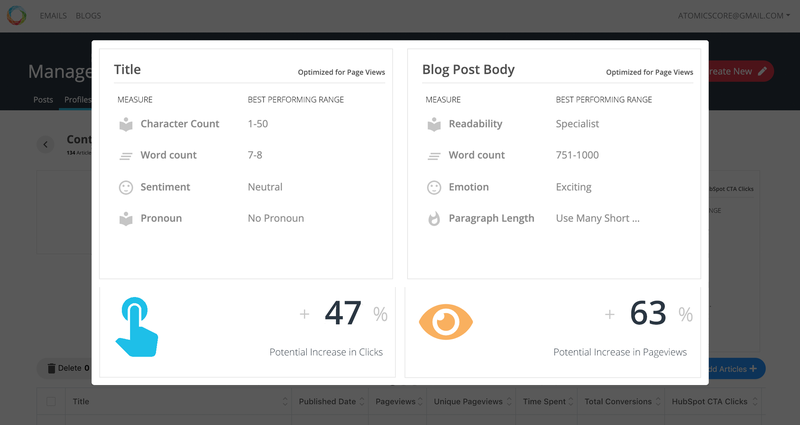 With the power of Artificial Intelligence, Atomic Reach analyzes your content and data within HubSpot, and gives you insights on how to produce higher performing content that resonate the most with each of your customer personas and segments. Works with all text-based content formats (blogs, emails, ads, website copy, landing pages). This integration requires both Atomic Reach and HubSpot. Learn more. Take the guesswork out of content creation by adding the power of Atomic Reach’s Content Intelligence Platform to your HubSpot workflow. Using Content Intelligence, you can draw out the insights from the customer data within HubSpot to understand the specific language your content needs to drive customer engagement. Deliver personalized messaging by customer persona at scale across all channels. 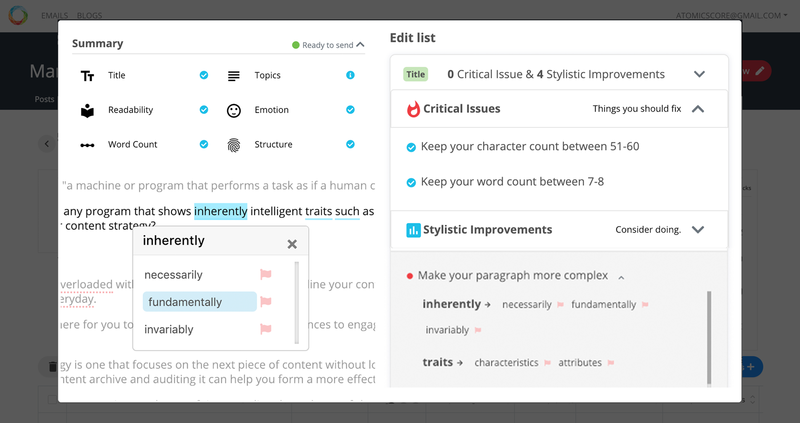 Reduce cost from the content creation process by eliminating the wordsmithing of language and streamlining workflow while improving content performance. The Atomic Reach platform works with all text-based content formats (blogs, emails, ads, website copy, landing pages). - With this integration, not only can you easily create and manage content in HubSpot, you can also use the insights given by Artificial Intelligence on why your content is or is not performing to optimize your content performance and personalize the language for each customer persona. The combination of HubSpot and Atomic Reach gives you a comprehensive, best-in-class solution for content creation and optimization.